Black Widow Pocket Chain Saw | BUDK.com - Knives & Swords At The Lowest Prices! 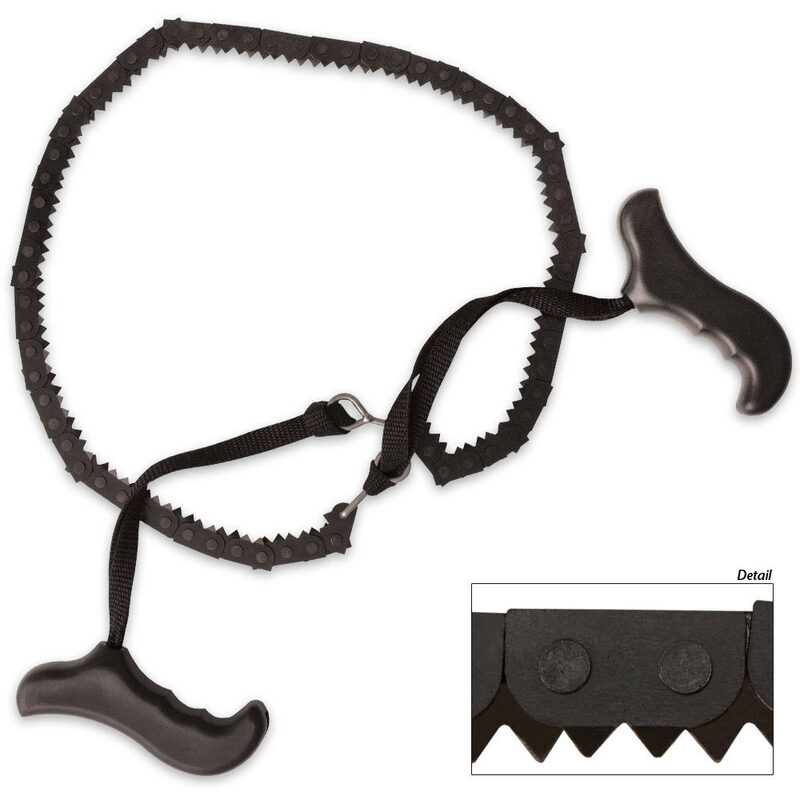 This Black Widow Pocket Chain Saw is perfect for your next hiking, fishing, hunting, or camping trip. It features 92 high-strength, heat treated bidirectional cutting teeth coated for rust resistance. Cuts through a 3" diameter limb in 20 seconds and weighs only .45 lbs.